12:42 p.m., April 19, 2012--Kent S. Price, 75, associate professor emeritus at the University of Delaware, died Monday, April 16, at the Delaware Hospice Center in Milford. He was one of the founding faculty members of the College of Marine Studies, now the College of Earth, Ocean, and Environment. "As we pursue our work this week we should take a moment to pause and think about Kent," Nancy M. Targett, dean of the college, said. "Today we stand on the shoulders of people like him; people whose efforts to shape our college during the early years have helped to define who we are today." Dr. Price grew up on a dairy farm near Chestertown, Md., and received his bachelor’s degree from the University of Maryland in 1959. He earned his master’s and doctoral degrees from the University of Delaware in 1961 and 1964, respectively. He held an assistant professorship at Old Dominion College before joining the UD faculty in 1967, serving as the first faculty member assigned to the Lewes program on a year-round basis. He was a co-author of the first Delaware Sea Grant proposal in 1968. He also co-authored the Community Design Plan, which led to the formation of the then-College of Marine Studies in June 1970. 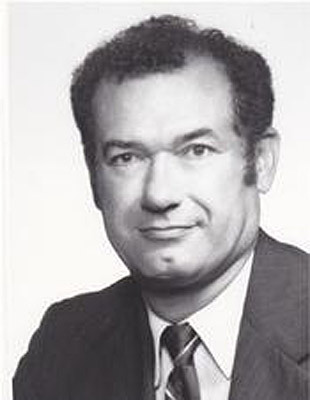 During the early 1970s, Dr. Price was involved in research on the shore zone fishes of the Delaware Inland Bays, in the development of the Delaware Sea Grant mariculture program as functional group leader and in the early evolution of Delaware's Sea Grant Marine Advisory Service as director. This program was the largest, longest duration and likely the most successful cooperative international manpower development endeavor supported by the National Sea Grant College Program. During his tenure at the University of Delaware, Dr. Price taught a variety of marine biology courses and advised more than 30 graduate students. He is best known for his work on human impacts on estuarine systems, especially Delaware's Inland Bays. Dr. Price conducted a broad range of environmental and fisheries research ranging from the development of a novel type of artificial reef to an analysis of the nutritional value of seaweeds to fish in Delaware's Inland Bays. In addition to pursuing his research interests, Dr. Price served as assistant and associate dean at UD’s Graduate College of Marine Studies and director of Delaware Sea Grant’s Marine Advisory Service. He also chaired the Center for the Inland Bays board of directors, served on CIB’s scientific and technical advisory committee and was a member of the Delaware/Maryland Coastal Bays Joint Assessment Program advisory committee. He retired from UD on Feb. 1, 2000, after 33 years of service. Involved in education at several levels, he served as a member and president of the Cape Henlopen School Board and as a member and vice president of the State Board of Education. In his spare time, Dr. Price flew airplanes and watched NASCAR. He is survived by his wife of 18 years, Andrea Price; one son, Kent S. Price III, and his wife, Liz, of New York; one daughter, Cheryl P. Nelson, and her husband, Michael, of Delaware; two grandsons, Clay Nelson and Chase Nelson, and other family members. At Dr. Price's request, a viewing will be held from 1-3 p.m., Saturday, April 21, in Barratts Chapel, 6362 Bay Road, Frederica, Del. Services and burial will be private. The family has requested no flowers; memorial contributions may be made to either the Center for the Inland Bays, 39375 Inlet Road, Rehoboth Beach, DE 19971 or to Delaware Hospice, 100 Patriots Way, Milford, DE 19963. To leave online condolences, visit the Lofland Funeral Home website.